Cheers, dear friends! And a happy new year everybody! Let it be a good and yummy one. Maybe that is exactly the reason why this is recipe might be something you are looking for. A Japanese classic, originally from Kyoto: Simple rice dumplings with a sweet and salty sauce. Easy to make and easy on the stomach. Enjoy! And let the new year rock! For the dango mix both kinds of rice flour with the sugar. Add the water spoon by spoon and knead until the dough is firm and mouldable. Add some food colouring if you like to. Bring a pot with water to a boil. Meanwhile divide the dough into 12 equal pieces and roll them to balls using your hands. Carefully add them to the boiling water and let them cook until they swim on the surface. Let them stay in the water for 30 more seconds, then get them out and put them in ice water. To prepare the mitarashi sauce bring the 2 tbsp of water with the sugar, the soy sauce and the mirin to a boil on medium heat. Dissolve the potato starch in the remaining water and add to the pot. Keep on cooking the sauce until it thickens and remove the pot from the stove. 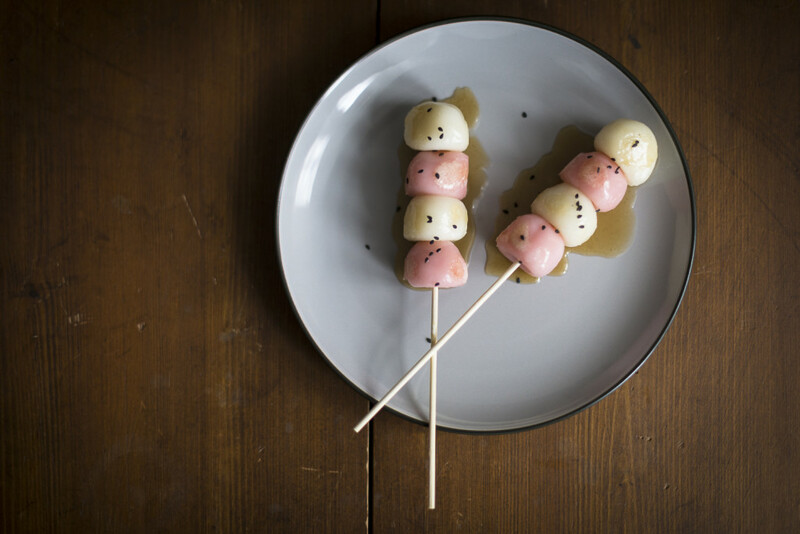 Drain the dango and put three or four of them on each bamboo skewer. 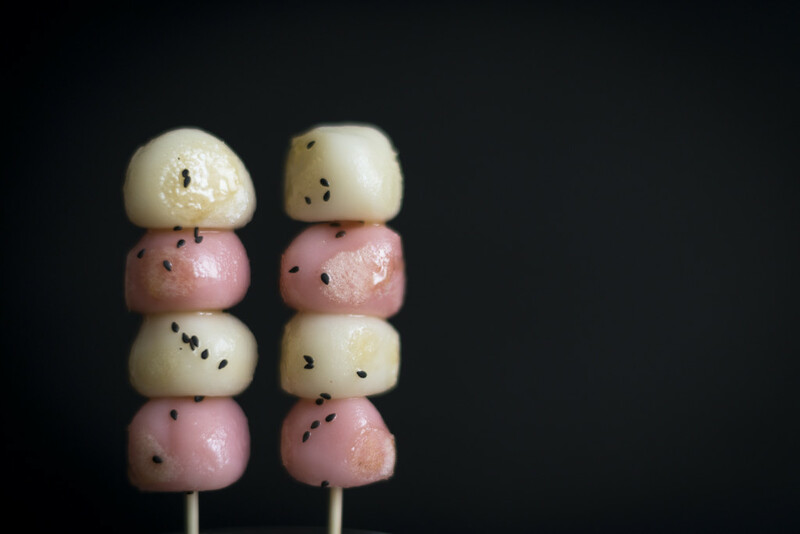 Heat a pan, add the sesame oil and fry the dango in it from each side. Pour the sauce over it and sprinkle with some sesame if you like and serve.